to those of the SciFi genre. I also try to complete a setting as much as I can. Last edited by HustlerOne on Mon May 05, 2014 12:44 pm, edited 21 times in total. Last edited by HustlerOne on Mon May 05, 2014 12:42 pm, edited 17 times in total. Last edited by HustlerOne on Mon Apr 14, 2014 12:34 pm, edited 1 time in total. PL: 6 to 8 for humans. PL: 7 to 12 with mecha. Background: Code Geass takes place in a alternate reality where the British empire never fell. (some with psychic powers no less!). 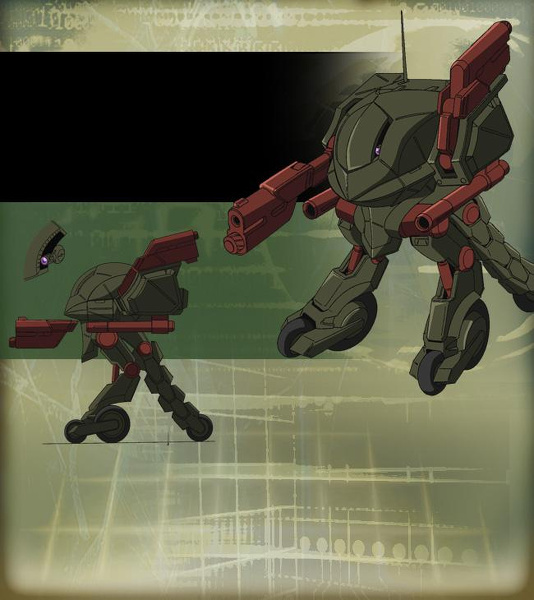 The main draw of the setting are the realistic mini mechas called knightmare frames. telepathic type powers called Geass in the setting. Saudi Arabia) and possibly the Philippines. Ironically enough, they long ago lost the British isles to possibly the french. Britannia is ruled over by the douchebag Charles Britannia a advocate for social darwinism. (or at least made up of constitutional monarchies) political entity with neo liberal tendencies. Presumably the African continent was never able to free itself from European colonialism. They are nearly equal rivals militarily, economically, and technologically to Britannia. massive amounts of manpower and resources. Notable Others: Australia is neutral. A free Iran might well be the remnants of the middle east federation. Last edited by HustlerOne on Mon Apr 14, 2014 1:07 pm, edited 4 times in total. knightmares with at the beginning of Code Geass. harkens can both be used for attack as well as scaling buildings. The Sutherland relies on wheels located at the feet for it's primary movement. groups such as the Black Knights. Last edited by HustlerOne on Fri Apr 18, 2014 8:18 pm, edited 1 time in total. Hey, Code Geass stuff, awesome! I was really into that show when it first came out-I actually built most of the big-name characters from that in 2E, and a few sample Knightmares, as well as the unique ones like the Guren and the Lancelot. Arthur Eld wrote: Hey, Code Geass stuff, awesome! Yeah, I remember your great Code Geass stuff using the old Mecha and Manga rules for creating Mecha. the Lancelot was a particular favorite of mine so I had to do it. that some people say it sucked compared to the first season. Gundam 00 had the same problem. I mean Code Geass went from having semi realistic mecha to flying mini gundams. personnel. Cornelia Britannia has her own personal one to act as a mobile HQ. Carries 10 Gloucester or Sutherland Knightmare Frames. It is 200 meters long. Complications: Disability: Has no arms! overwhelm it's opponents through sheer numbers. harkens equipped. This shows how far behind the Chinese are in Knightmare development. of Chinese Knightmare pilots. The pilots are just as disposable as their machines! This attritional mindset mirrors the collectivist society of the Chinese Federation. were first used in a attempted invasion of Japan. allows them to cross over large bodies of water. carrying dozens more Gun Ru Knightmares than a equivalent G1 Base. Carries 10 Crew and 36(?) 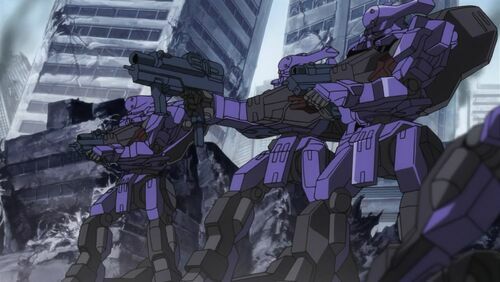 Gun Ru Knightmare Frames. Last edited by HustlerOne on Wed Apr 16, 2014 12:08 pm, edited 1 time in total. Complications: Disability: Has no hands. Britannia's standard mass production sutherland knightmare. incorporate the successful slashharkens concept into the design of the panzerhummel. overspecialized knightmare. 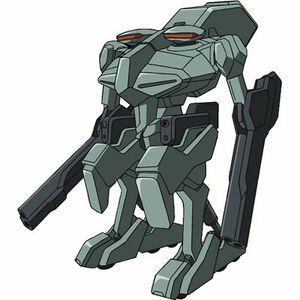 For example it has no hands to defend itself in close quarters. 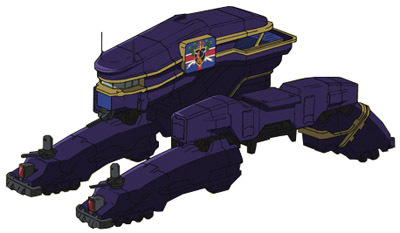 the panzerhummel was a pretty good attempt to match Britannian expertise in knightmares. Knightmare. It's performance level exceeds that of prior generations of knightmares. expected to go into combat. Further improvements allowed for limited flight in the form of energy wings. The only minor drawback to the design is the lack of a cockpit ejection system. so advanced that it skipped a whole entire generation in knightmare development. Equipment: None Normally. Maybe a pistol or a Sutherland knightmare frame. Complications: Relationships: His younger sister Nunnally. His best friend Suzaku. any cost. To find the culprits behind the assassination of his mother. Secret: Is secretly the revolutionary known as Zero. Student: Lelouch attends Ashford Academy. knows of their royal heritage. to mind control people. Lelouch can force people to obey one command for one time only. social darwinist system in Britannia. addition he is a manipulative and persuasive orator that can influence people to his side. Personally, he can be quite cold, calculating, selfish, and ruthless towards his enemies. protective of close friends and family. stats. Just remove the Geass power and assign points elsewhere as needed. Last edited by HustlerOne on Fri Apr 18, 2014 8:15 pm, edited 1 time in total. Rank 5 seems a little low for a Geass-on the show, no one is ever shown to be able to resist a Geass, be it the Emperor's or Rolo's or of course Lelouch's. Lulu even Geasses himself once. In 2E, you could just use the no saving throw extra, but in 3E, I'd figure high ranks would be the only way to model the effect. I guess with insidious and Progressive, you could eventually get the result, but only two people were ever able to resist a Geass for even a little while. Also, a Feature might be fitting to model the fact that people don't remember what they do under Lulu's Geass.